Since 1984, G. Harvey has provided Somerset House Publishing with the privilege of publishing fine art paper and canvas limited editions of his original paintings. 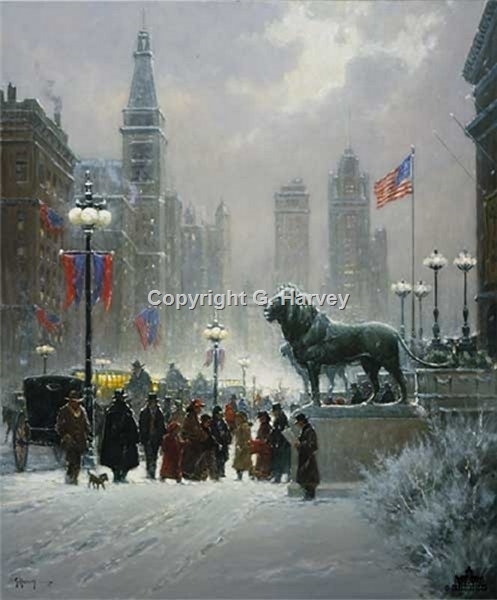 G. Harvey is among the elite artists of our time; his images have enriched the lives of thousands of collectors and admirers as well as enhancing their homes and offices. Beginning in 2016, G. Harvey has chosen to curtail the release of further print editions. While he will continue to devote his time to the creative process of his studio, Somerset House will no longer publish and offer new images. We celebrate our long and successful relationship with this fine gentleman and his art. We also thank the many G. Harvey retailers and collectors.